MUMBAI: Tempting as it may be due to rising mercury levels but people having fizzy drinks daily are at 20% higher risk of getting heart disease than those who don't, a new study suggests. Also, people who drink diet sodas every day have a 61% higher risk of bursting a blood vessel. 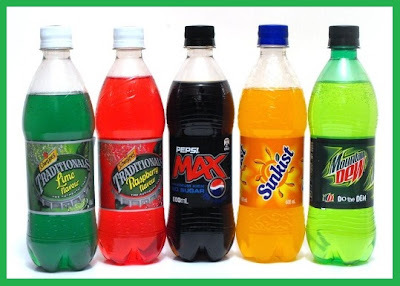 What is alarming is that even children, who consume 40-70 ml of soft drinks a day, may put on 3-5 kilos every year. "Youngsters don't drink water but readily gulp down colas. They have to be told that what you do when you are a 10-year-old shows on your heart when you are 40 years old," says heart surgeon Dr Ramakanta Panda of Asian Heart Institute in Bandra Kurla Complex. And that for Mumbai's doctors is a worrying factor, as children in Indian cities are getting increasingly hooked on to soft drinks. "The intake could have gone up to 100 ml a day now," says Dr Anoop Mishra, an endocrinologist with Fortis Hospital in Delhi, who conducted the study for Delhi-based Diabetes Foundation three years ago. But what makes soft drinks such a health hazard is that taking a cola a day is equivalent to having seven to eight spoons of sugar at a time, says Dr Shashank Joshi, an endocrinologist with Lilavati Hospital in Bandra. The carbohydrates or sugars only provide empty calories without any nutrition, merely adding to one's weight. "It's a well-documented fact that sugary soft drinks lead to high cholesterol, high blood pressure and diabetes," he says. The latest study from Harvard School of Public Health in Boston shows sugary drinks hit men's heart hard. The diet and health habits of 43,000 men were followed from 1986 to 2008, showing that 3,683 men who had sugary beverage every day had coronary heart disease in comparison to those who didn't. Another study from the University of Sydney found that children who drank one or more soft drinks each day had narrower arteries in the back portion of their eye- a factor linked to higher risk of heart disease and high blood pressure. Doctors believe it's time society adopted a hard stance against soft drinks. Dr Panda is tying with an NGO to create health awareness in school. Dr Joshi believes it's time to ban soft drinks from homes and schools, while Dr Mishra says soft drinks' consumption should be restricted to once or twice a week. Dr Jagmeet Madan, who heads SNDT University's Nutrition College, says that children are discerning enough to understand when told that empty calories found in colas is bad. "We can tell them that there are 'sometime foods' and 'everytime foods'. It is only when 'sometime foods' like colas become 'everytime foods' that the problem arises," she adds. A paper published in this week's American Journal of Nutrition provides a heartening observation. The article by researchers of University of North Carolina at Chapel Hill hints that a person's overall diet may decide just how harmful is the soft drink-a-day routine. It found that people who had a prudent diet (freshly cooked meals) had lowest risk of heart diseases in comparison to people who eat processed food (including meat) along with soft drinks every day. "One should physically work the effects of a sugary drink off," adds Dr Mishra. The study is published online today (Nov. 22) in the Journal of the American Medical Association. Only a few studies had previously looked at BPA levels from eating canned foods, and those relied on asking people how much of the food they usually eat comes from cans, Michels said. The new study was the first in which researchers randomized participants to eat a small serving of canned food or fresh food, and measured the resulting difference in their urine BPA levels, she said. "We've known for a while that drinking beverages that have been stored in certain hard plastics can increase the amount of BPA in your body. This study suggests that canned foods may be an even greater concern, especially given their wide use," said study researcher Jenny Carwile, a doctoral student at Harvard. And other studies have linked BPA levels in a woman's urine during her pregnancy to health problems in her child. It is not known how long the levels of BPA might remain high, according to the study. However, it is also not known whether such a spike, even if it isn't sustained for very long, may affect health, the researchers wrote. The study was limited in that all of the participants were students or staff at one school, and a single soup brand (Progresso) was tested, but the researchers wrote that they expected the results to apply to canned foods with a similar BPA content. "Reducing canned food consumption may be a good idea, especially for people consuming foods from cans regularly," Michels said. "Maybe manufacturers can take the step of taking BPA out of the lining of cans — some have already done this, but only a few."